You are here: Bed Bug Blog / Bed Bug Killer Powder 200g & Beaches – What’s In Common? Discover how and why the beach leads us to the most effective method to completely get rid of bed bugs and prevent future infestations using Bed Bug Killer Powder 200g. The beach. Warm sun, crystal clear water, relaxed looking people lounging around on the soft sand – and … bed bug killer powder 200g. Most of us wouldn’t think to associate products that kill nasty critters like bed bugs with beautiful beaches. That’s because insecticides are poisonous, toxic and harmful to humans as well as insects – whereas the beach is anything but. 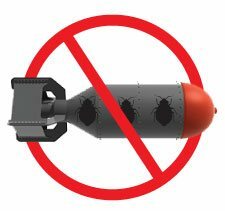 But the number one non-toxic and poison-free solution for getting rid of bed bugs is “DE” or Silica which is the same chemical element as sand! But there is a difference, DE is super fine prehistoric fossils in the shape of marine phytoplankton. That’s right: it’s as natural as the sand beneath your toes. And, it’s the most effective way to get rid of your bed bugs, once and for all. DE is short for “Diatomaceous Earth”. It’s a natural and non-toxic substance made from “diatoms” which are fossilised remains of marine phytoplankton. It is comprised of silica – a naturally-occurring mineral which can be found everywhere: the sand at the beach, the dirt beneath the grass, and even in the air. DE is such a fine powder that it absorbs moisture and kills all insects, including bed bugs 100% of the time. Our Bed Bug Killer powder is made of DE, so it’s the perfect option if you’re looking for a way to get rid of bed bugs without hazardous chemical exposure or expensive pest controllers. 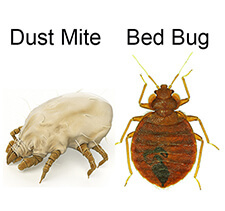 Bed bugs have an exoskeleton – an outer shell that is “waxy”. This shell covers the bodies and breathing surfaces of the bed bugs. Under a microscope, the powder appears like shards of glass. When it is sprinkled on bed bugs, it penetrates and punctures their waxy coating, drying out and dehydrating the bugs, causing them to die. Our powder is completely non-toxic. It is mechanical, and this means that bed bugs can’t develop an immunity to it in the same way they can with other poisonous bed bug pesticides and sprays. Also, as Bed Bug Killer powder contains no detectable crystalline silica, so there are no dangers with having it in and around your sleeping area. It’s safe for animals so you don’t have to worry about exposing your pets to toxic chemicals, either. How effective is Bed Bug Killer for getting rid of bed bugs? It is 100% effective. In fact, Bed Bug Killer is the only registered product in Australia that kills bed bugs long term without poisons. I have a small hostel that is usually full all year long but the last couple of months have been very tough as all my clients complained of bed bugs; all the measure I took proved to be futile, despite costing me thousands. I will try your bed bug killer system products and hope to see some improvements because they are costing me a small fortune. I had no idea your Bed Bug Killer and beaches had something in common. This makes it even more reliable, because you know you aren’t using something that is highly toxic and that could cause serious health problems in the long run. The biggest advantage, besides the fact that is super safe to use, it’s its smell, or lack of it more precisely. Silica is found everywhere. Glass is made from Silica. Natures own bed bug killer! I almost never comment or leave reviews for the products I buy, but this product is INCREDIBLE. I bought it on a whim, hoping to see some improvements but I never expected to get my house back from those disgusting bugs. Your Bed Bug Killer works perfect and kills all the bugs. I definitely recommend it! Very interesting! I didn’t realize Silica/DE was so effective for killing bed bugs. I really appreciate that this is a safe, non-toxic solution. Much better than some of the other chemical options on the market. Thanks for sharing!